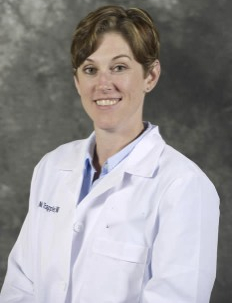 Dr. Michelle Trappler graduated from veterinary school at University of Pennsylvania in 2008. She completed a rotating internship at Coral Springs Animal Hospital in Coral Springs, Florida, followed by a surgical internship at Dallas Veterinary Surgical Center in Dallas, Texas. Dr. Trappler completed a 3-year surgical residency at Veterinary Specialty and Emergency Center (VSEC) and became board-certified in small animal surgery with the ACVS in 2014. Following her residency, she completed a 1-year sports medicine and arthroscopy fellowship at Veterinary Orthopedic and Sports Medicine Group (VOSM). Dr. Trappler and her fellow veterinarian husband moved to Puerto Rico in 2015 to pursue their dreams of life by the beach (highly recommended). She is now attempting to master work-life balance as a small animal surgeon at the Centro Especialistas de Veterinarios in San Juan, Puerto Rico. During her free time, Dr Trappler enjoys baking, cooking, photography and exploring beautiful Puerto Rico and beyond.